In the wake of the Helsinki summit, Moscow’s state information service Russia Today baldly declared that “Russia has defeated the US in the information war,” arguing that this had happened because Russia with its centralized approach was a true empire while the US was not. But that claim and even more that argument as intended, Vadim Shtepa says, conceals more than it reveals and distracts attention from the Kremlin’s development of what he calls “information spetsnaz” techniques over the last 15 years, techniques that earlier articles were quite open about. In an article for the Tallinn Center for Information on Security and Defense, an institution that is becoming ever more important for the analysis of Russian behavior in this sector, the Estonia-based Russian regionalist who edits the After Empire portal points to some of the most important of these earlier articles. Many of these articles were ignored when they appeared, both as a result of the nature of the very nature of the information war Moscow has been conducting against the West and the West’s failure to monitor what Russian sources were saying. As a result, the West was not prepared for what Moscow was doing. It must not fail again. Shtepa divides his essay into three parts. In the first, which he calls “’Information Spetsnaz’ (the Panarin-Gerasimov Doctrine),” he calls particular attention to two articles: One by Igor Panarin of the Russian Diplomatic Academy in 2008, and the second by Gen. Valery Gerasimov, the chief of the Russian General Staff in 2013. Writing just after the Russian invasion of Georgia, Panarin argues that Russia in one sense lost that war because it had not put in place the kind of information system that could have convinced the West that Moscow was entirely justified in doing what it did. Such campaigns, he suggested, would seek to undermine the information systems of opponents by creating multiple realities so that people in those countries would become unsure of what was actually the case. He pointed to the creation of Russia Today in 2006 as an important means to that end. If Panarin’s essay was largely ignored a decade ago, Gerasimov’s five years later attracted more attention. He developed many of the Diplomatic Academy expert’s ideas to insist that Russia can only win if it stops trying to copy other countries and instead develops its own approach to conflict. That approach, the general said, requires the use of information as the key tool in military operations to confuse and disorder opponents rather than simply countering whatever they are saying, again stressing, as Shtepa says, that Russia must take the offensive in this area and never give it up, lest these techniques be played back against Moscow. 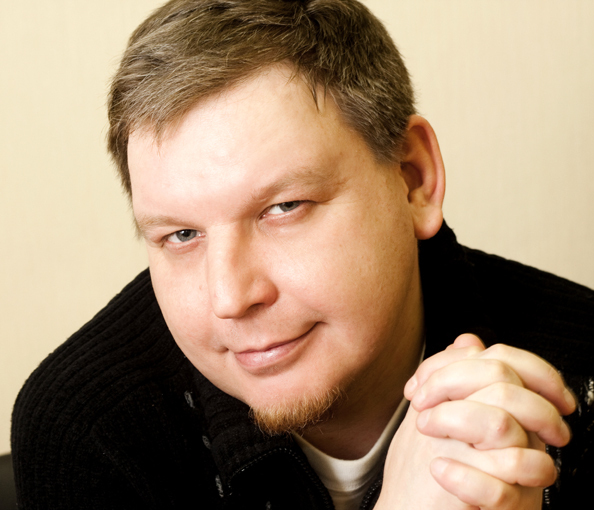 In the second section of his essay, the Tallinn author focuses on an even earlier article, a 2003 study by Anna Polyanskaya, Andrey Krivov and Ivan Lomko on how to create what they called “’a web brigade’” to take advantage of the opportunities the Internet provides for disordering other societies. Their article anticipated the ways in which Russian trolls interfered in elections in Western countries by using the system of “astro-turfing” that Moscow had developed against its own domestic opponents against other countries by creating a false image of the number of supporters Moscow’s preferred positions have. Inside Russia, that approach has been deployed against opponents for more than a decade, Shtepa says; now, it is being used internationally. He points to a 2011 story in The Guardian for details. And in the third section of his article, Shtepa points out that there has long existed a completely public site providing Russians who want to engage in such information war with guidance on what higher educational institutions they should apply to. That site is at postupi.online/professiya/specialist-po-informacionnoj-borbe/vuzi/. Among them are the Russian Diplomatic Academy, the Russian Academy of State Service, Moscow State University, the Higher School of Economics and the Moscow State Institute for International Relations, he notes. But there are others as well. This bulletin is prepared by the Russian Institute for Strategic Research (RISI), a group directly subordinate to Putin that Reuters in 2017 identified as the organizer of Russian interference in the American elections. Central and Eastern Europe in the fight with disinformation: How is Ukraine doing?